Does a contract have to be written to be valid in Illinois? ?Can I Be Fired for a Post on Social Media? Many clients assume that a contract must be in writing to be valid in Illinois. This is not always the case. 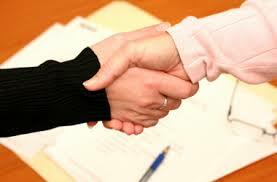 In fact, much of the time, an oral agreement can be considered a legally binding contract. There are three main special circumstances to this rule.These circumstances are part of the Statute of Frauds that says that, because of the possibility of abuse in certain situations, a contract must be in writing in order to be valid. The sale of "real property." Real property is property that cannot be moved- for example, your house or land. The sale of something for $500 or more. You should always have a written contract for something that costs $500 or more. A contract that takes more than a year to complete. For example, a 2-year employment contract would certainly need to be in writing. For more information on legal contracts in Illinois, check out this video from Attorney Andrew Koester.